An aerial view of Tokyo Electric Power Co.'s tsunami-crippled Fukushima Dai-ichi nuclear power plant, on March 11. It's one of the greatest, and most disturbing, questions of the Fukushima disaster: What happened to the nuclear fuel inside the plant? Now physicists are trying to shed some light on the problem using particles from the edge of space. The Fukushima accident was broadcast around the world. On March 11, 2011, an earthquake and tsunami struck the plant, knocking out cooling in three working reactors. The uranium fuel inside melted down. But nobody's quite sure where it went. "Right now we don't know where the fuel is," says Christopher Morris, a fellow at Los Alamos National Laboratory in New Mexico. A lot of the fuel is probably still in the bottom of the reactors. But some of it may have fallen down into the concrete buildings that house them. Finding the fuel and disposing of it is a critical part of the cleanup, but there's just no way to look inside and see. "The radiation levels are so extraordinarily high that cameras break rather quickly after they get near the reactor," Morris says. Debris is also blocking the view. A computer simulation (left) shows how muons would image the pill-shaped vessel of the Fukushima Unit 1 reactor. An actual muon image (right) taken across 26 days is considerably fuzzier; but, judging from the lack of shadowing in the center, the nuclear core appears to be gone, engineers say. Better muon detectors might help figure out where it went. Morris is a physicist, and he and some other researchers think a subatomic particle called the muon can help. Muons are closely related to electrons, except they're 200 times heavier. They're made when particles from deep space collide with the upper atmosphere. From there, the muons shoot down to Earth and become part of the natural radiation we're exposed to every day. To learn why muons might be useful at Fukushima, NPR conducted an experiment at the Forest Glen subway station outside Washington, D.C. We invited Kara Hoffman, a physicist at the University of Maryland, to bring a portable muon detector, borrowed from the Lawrence Berkeley National Laboratory in California. Even at 20 stories below the surface, the detector picked up muons. Hoffman wasn't surprised. She works on an experiment carried out 2 miles below ground in Antarctica that regularly detects muons. "One-hundred ninety-six feet is not very much for a muon," she says. If muons can penetrate a subway tunnel, they can certainly pass through a nuclear reactor. That's why Morris thinks they can help at Fukushima. "You can make something that looks like an X-ray, so you can take a picture of what's inside the reactor," he says. Uranium is extremely dense, so it shows up as a shadow in a muon photograph, just as bones cast shadows that are white in an X-ray. Two Japanese laboratories have already taken some fuzzy muon pictures of two of Fukushima's reactors. "They don't see much of a shadow," Morris says. "That means a lot of the core must be missing from the region where the core was." The fuel is gone. To figure out where it went, Morris is working with the Japanese firm Toshiba on more powerful muon detectors. The detectors are already built. The next step is to put them near the reactors, though that's proving more difficult to do than the team thought. The detectors are large and bulky, and it would require a huge team to install them in the hazardous environment around the reactor. Morris says Toshiba is investigating whether it can be done more cheaply with less labor. 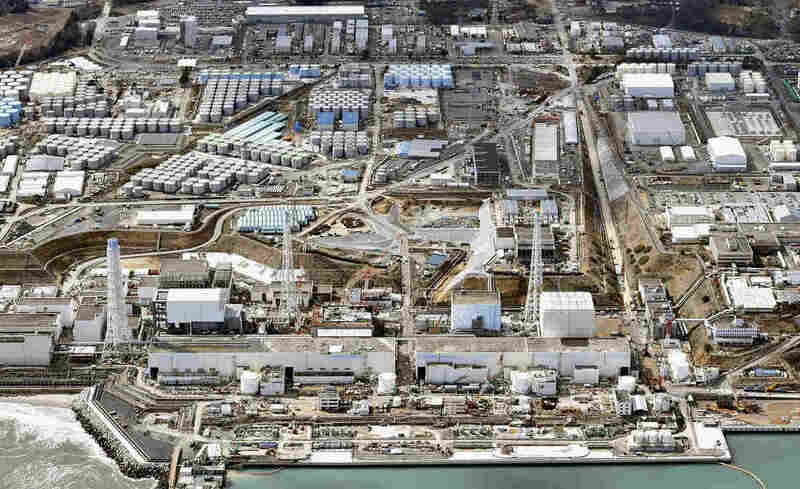 If they can get it to work, it may finally be possible to learn what's happened inside Fukushima.